Welcome to Rice Law Firm. We’ve been serving individuals and businesses in Central Florida since 1983. Beth King remembers graduating from Seabreeze High School in 1972 on the stage at the Peabody Auditorium. She recalls seeing Black Sabbath there in the ’70s, plus performances by Gregg Allman and the London Symphony Orchestra. “I’ve seen many, many productions at Peabody. I grew up with Peabody Auditorium,” said King, an attorney at Rice Law Firm and president of the Peabody Foundation. 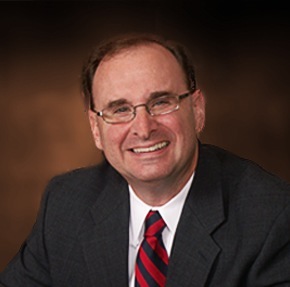 Matthew Shapiro - I needed an attorney to update my will and trust to add a new family member and review the will and trust based on my current life circumstances. I met with Mr Shapiro, based on recommendations from friends, and was impressed with his knowledge and professionalism. Mr. Shapiro made recommendations and made the changes we agreed needed to be made. I will definitely recommend Mr.Shapiro to friends and neighbors. It was an extreme privilege to have Mr. Rice handle my legal services. He expertly guided me through and negotiated my dissolution of marriage addendum. The thought of this upcoming emotional, unpleasant, and possibly expensive process was daunting. My outcome was very favorable because of Mr. Rice's knowledgeable and professional approach. I have and will continue to refer clients to Paul Rice. Elizabeth King gives a good name to lawyers everywhere. She is exceptionally professional while offering a level of sensitivity and care for her clients that I have not seen in other attorneys (I have worked with some VERY BAD attorneys). She is very responsive, and answers any question you throw at her, without using legal jargon that goes over your head, AND she will look out for your best interests on every front as she did with me. Mr. Bonamo was exceptional. I appreciated the professional and outstanding service he and his staff provided. I was confident that he was fighting for me and my children and always felt he had our best interests at heart. All the anxiety I had going into this divorce was greatly reduced as he did above and beyond what I had heard about divorce lawyers. I never had a single complaint and felt that I had a friend on my side at all times. You won’t find a better Lawyer anywhere! I have received excellent advice and service from Mr. Rice. What a pleasure to feel secure and know you are getting expert advice - after having gone through two previous attorneys on the same case, having wasted thousands of dollars - and then eventually find the right firm. Save money and time. Go directly to Rice Law Firm. 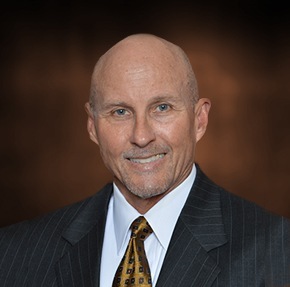 Mr. Bonamo is a commensurate professional that is compassionate and supportive of his clients. I had several legal matters that needed attention and he handled each one professionally and effectively, while keeping my desired goals in focus. Mr. Bonamo assisted me with cases ranging from family, criminal to civil actions and civil injunctions. Mr. Bonamo's expertise helped me get through the past 6 years, which allowed for my criminal cases to be sealed. Mr. Bonamo has my highest recommendation. I retained Elizabeth King to represent me in the dissolution of my thirty year marriage. Throughout the lengthy divorce process, I experienced Mrs. King to be professional and prompt to respond to any inquiries I made. Her legal knowledge and legal advice were exactly what was needed to navigate this process. Mr. Bonamo was very professional. He put my wife and I at ease as he and his firm handled my daughter's spring break issues. I don't usually write reviews, so the fact that I'm taking the time to write one speaks to my opinion of Mr. Bonamo. He helped me handle an unpleasant experience while being both extremely competent and kind. I definitely recommend his services. Matthew Shapiro responded to all of my questions very promptly and respectfully. Matthew took care of my legal matters and I would highly recommend him to anyone who needs a lawyer. I have been through several lawyers & am very impressed with Matt Shapiro. Not only is he very responsive to my needs, he is VERY easy to communicate with by phone text & e-mail. He can read, assimilate and reply in a very cost effective manner. Matt has the ability to utilize all technology available therefore doesn't waste your time or his. He is there when you need him, personable and intelligent. I have many lawyer associates but Matt is the one I will continue to trust as MY legal counsel. This is the first time I needed legal assistance and I could not have been more impressed with Mr. Bonamo and his staff. They were always professional, knowledgeable and compassionate. After taking time off work for 3 separate consultations over a two week period with large and small area firms I finally found my answer. Elizabeth King was efficient, knowledgeable and kind. She understood my issues and was quick to act. I will never have another attorney represent me for family law matters and I will recommend Elizabeth King to friends, family and anyone who is in need of competent professional representation! Paul and his team helped me through a very difficult divorce with professionalism and integrity. The outcome was better for me than I'd expected. Negotiations were contentious, but Paul coached me to focus on the business at hand and not let emotions take over. This saved me money and kept the matter for dragging on for years. I would highly recommend Rice Law Firm to anyone. Philip Bonamo and Ashleigh Drexler both are great at what they do, they helped me all the way from the beginning to the end of my divorce. Kept me informed and looked out for my well being. On top of that they handled everything down in Florida without me having to fly down there from NYC. I was extremely impressed with Mr. Bonamo's representation on my case in the matter of transferring jurisdiction on my custody case, he was very professional and thorough in court. Mr. Bonamo was extremely informative on the status of the case and the next step in proceedings. His paralegal Ms. Drexler was also exceptional in her communication with me and quick response. I only wish I had found Mr. Bonamo when I first started my divorce case. My husband and I are opening an Assisted Living Facility. We were unsure where to start and over-whelmed by all the options. Matt Shapiro helped us every step of the way, from forming a corporation, to closing on our property, to making sure we are properly protected. We are very pleased with the excellent service and his expertise. Working with Beth King, Shannon Gregoire and Kristi Rice has been very comforting. They know what they're doing and I never had to follow up with them, they followed up with me. I felt extremely confident in their knowledge and ability. They don't waste time or money and treat you with the utmost respect. I would recommend Beth King and the entire Rice Law Firm to anyone in need of legal help. I have and will continue to highly recommend Rice Law Firm. Rice Law is a trusted Law Firm that helped and guided me through a difficult time. Paul Rice and the staff at Rice Law handled my case expediently with brilliant service and extreme professionalism. I was kept informed and was well guided with expert knowledge throughout my entire process. 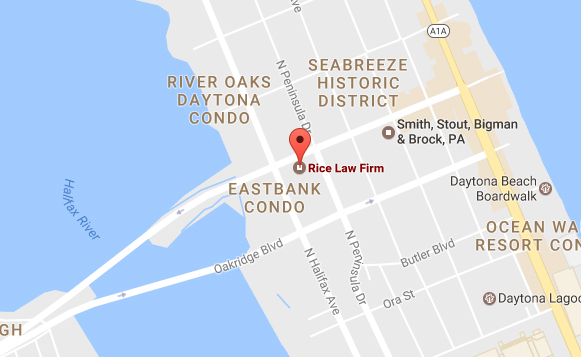 Rice Law is an excellent law firm, dedicated to providing their clients with quality legal services. I have utilized Phil Bonamo's legal services several times and have always been impressed with his legal counsel and judgement. He and his paralegal, Ashleigh Drexler, were available whenever needed to answer any questions. I always knew the next step in the process and was confident that Phil's focus was on what would be the most advantageous outcome for my family. I live outside the state of Florida but needed a Florida state Attorney. The Rice Law firm was an excellent choice. They made it easy to handle everything remotely and they were very communicative so that I always felt like I knew what was going on, even though I was far away. Everyone I spoke to at the firm was always professional and courteous and they did not hesitate to answer all of my questions in a way that I could understand. Most of all, I appreciate their expertise and effectiveness in getting the job done. It was so comforting to know that I had such a great team on my side. I am delighted with the service I received from Attorney Matthew Shapiro and Karen Buchanan (Paralegal). They know what they are doing and they do it well.